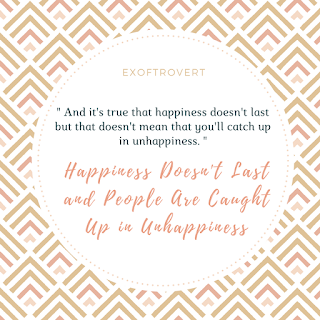 Happiness Doesn't Last and People Are Caught Up in Unhappiness - Efforts to increase happiness can be the most meaningless to do. It is because as if against the current of creation that man could be created is never enough. There will always be something desirable to achieve happiness. We realize that we can not have everything. We all know that it takes a lot of effort, and often requires us to avoid hedonistic stuff like having fun, shopping, or otherwise to be able to achieve happiness in the career aspect. In other words, when happiness in one area of life increases, there is often a decrease on the other. Quoted from psychology today, here are some reason why happiness doesn't last. Our past and our future are not always better than we are now, but we continue to think of the possibility that what we do today will make our future better. For example when our parents say, "Your future will be good if you ..." or "What you are doing right now will make your future ... "
It is a chaotic mindset. Especially the belief in what will be good in the future will be built on this basis. There is evidence that our brains work this way. Most of us have something called an optimistic bias, which is a tendency to think that our future will be better than we are now. Self-Delusion and Advantage of Evolution? Fantasy of the past and the future can be an adaptive part of the human soul that innocently deceives itself, but it really enables us to keep trying to get it. If our past is good and our future can get better, then we can work out of an unpleasant zone. At least as long as we believe it. Realizing that happiness exists and he is a delightful guest who never lives beyond the accepted limit can help us appreciate it more when it really comes. 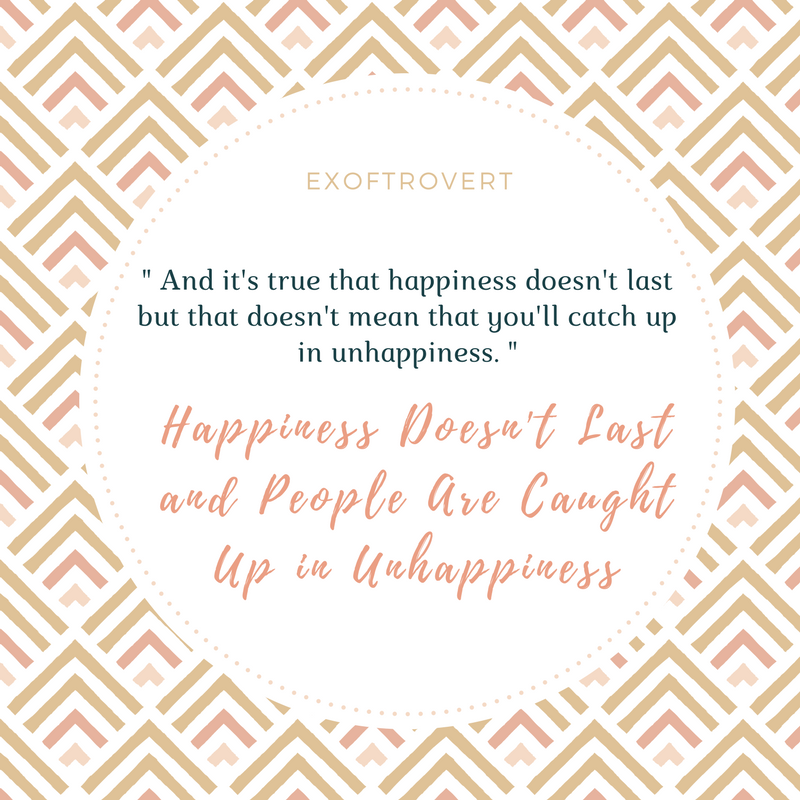 And it's true that happiness doesn't last but that doesn't mean that you'll catch up in unhappiness. There are many factors why you can get caught up in unhappiness, financial stability often becomes a major one, followed by fears and anxiety, etc. If those reasons cannot be moved, then how do others make changes happen? It could start with changing jobs or moving around. It can be done, but it is important to know the steps to be taken to get what you really want. It's easy to point your finger at something wrong, but taking the time to identify what makes you happy is more important. It's also hard to do. Sometimes you focus too much on what you want to leave and forget what you want to go. What will you think, feel, or when will you do it? Decide as clearly as possible where you will go. Do this to be more effective, as there are often many obstacles on the road to success. Identifying what is your obstacle, giving two important functions-fixing it and also lets you realize that failure is received not just because you can not work it out. Identify the people in your life who can help you reach your goals. Everyone is unique. Therefore, seeing how others reach their goals may be something that is very inspiring, but if it is a different path with you, it is likely to make you fail. Instead, focus on your main strengths. But do not have confidence that you can do it all alone. When you find the person, take advantage of it! First select a benchmark that will be the reference, then if the choice you have. What can you do with the assumption of obstacles, human factors, and criteria? Define the path. Not necessarily perfect, as long as calculate what can be done. Rather than simply reinforcing the intention of "Finding a treasure in the new year", better identify what steps to take, focus on any obstacles and criteria. Make it clear and make it more specific. Taking one sure step and achieving success on it often makes you want to take other steps. You will find yourself placing one step ahead of the other and step closer to the expected goal and free from unhappiness.